We have before us an opportunity to build our collective capacity for wise leadership, cultural agility, and reconciliation. The Leadership 2020 Indigenous Focus Certificate Program exists to specifically and intentionally support those working to the material benefit of Indigenous communities and community members. All Leadership 2020 programs include a focus on the work of reconciliation, but this program takes into account the needs of people working in programs and services dedicated to Indigenous well-being and social justice. From 2013-2017, The Federation worked with The Ministry of Children and Family Development to offer the Indigenous Focus Leadership 2020 program. This program brought together people from diverse roles in Delegated Aboriginal Agencies, Friendship Centres, community-based Aboriginal and Métis agencies, and BC’s Ministry of Children and Family Development. In 2018, The Federation took a pause to consider how as a non-Indigenous organization we best move forward in offering this program. We would like to work with an Indigenous organization(s) to transition the program to a more appropriate organizational home and are working on a strategy that would allow us to do this in a transparent and collaborative way with Indigenous community organizations. In the meantime, learn more about the programs offered, cost, our approach to leadership development, and pedagogy here. Participants in the Indigenous Focus Program come together from different roles in different organizations from every region of the province. They all share a commitment to increasing their individual cultural agility and our province’s collective capacity to meet the needs of Indigenous people that they serve. Grounded in Leadership 2020 approaches, the Indigenous Focus program weaves in Indigenous storytelling, ceremony, and practices. It incorporates critical analysis of our current contexts and a spirit of ‘living into reconciliation’ that brings people together over the 10-month program and builds a safe, supportive community that will continue to offer support and inspiration once the program is finished. The Federation is thankful for the wise and generous leadership of Wedlidi Speck during the development of the Indigenous Focus program. “Indigenous Focus is a concept, an idea connected to a call for post-colonial leadership, new relationships, new engagement strategies, new conversations and a new commitment to community well-being. At the core of Indigenous Focus is the recognition that indigenous cultures & approaches are expressions of a collectivity – a community, to each other, to possibility and to opportunity. As a way, a path, Indigenous Focus aims to utilize the wisdom connected to Indigenous worldview, Indigenous ways of knowing, Indigenous wise and relational practice and Indigenous innovations. We believe that when equipped with Indigenous wisdom & practice, a door of agility opens so leaders can utilize collective wisdom – a wisdom that prescribes cultural acuity and cultural agility. 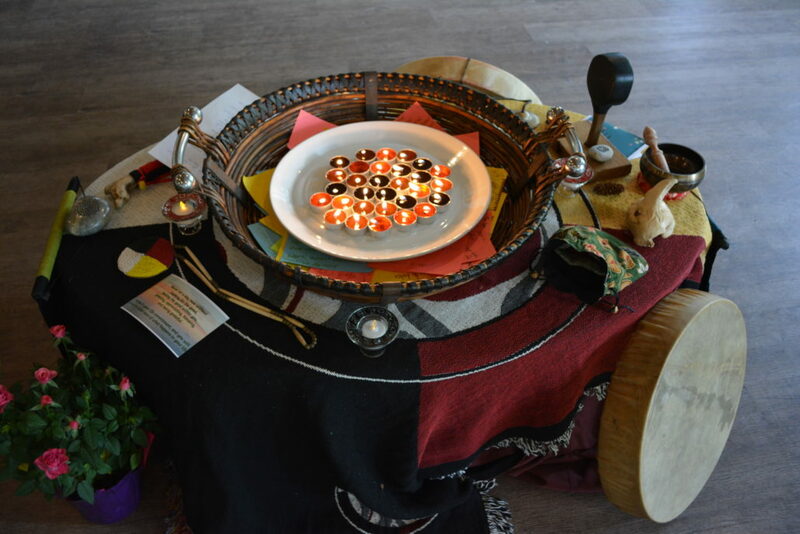 Indigenous ways of knowing, practice, and culture are woven into the fabric of the Leadership 2020 program to create a rich, supportive, culturally attuned experience for emergent, experienced and legacy leaders (see our FAQ page for definitions and more information). The Indigenous Focus Leadership 2020 Program is grounded in our belief that great leadership is personal, practice-based, participatory and perceptive.